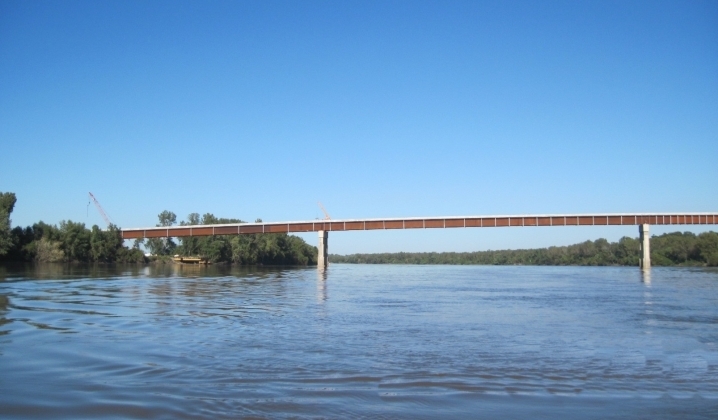 Superstructure Bridge Replacement over the Missouri River, Route 41 | OCCI, Inc.
OCCI successfully completed the superstructure replacement of 2,100′ Missouri River Bridge at Miami, MO. 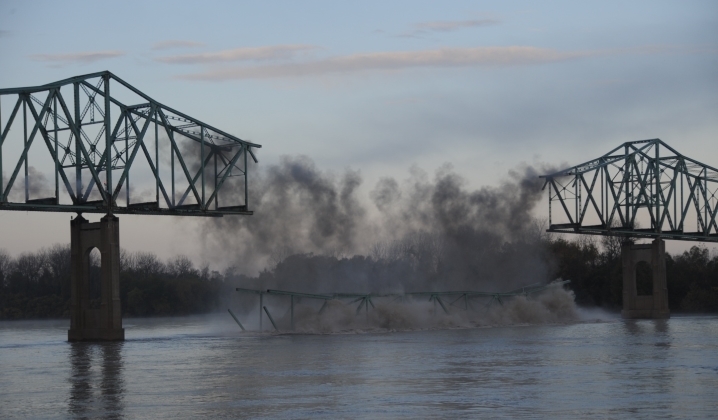 The existing steel truss was removed using explosives; OCCI met the challenge of removing the existing steel truss from the Missouri River within 12 hours so the river could re-open to navigation as mandated by US Coast Guard. 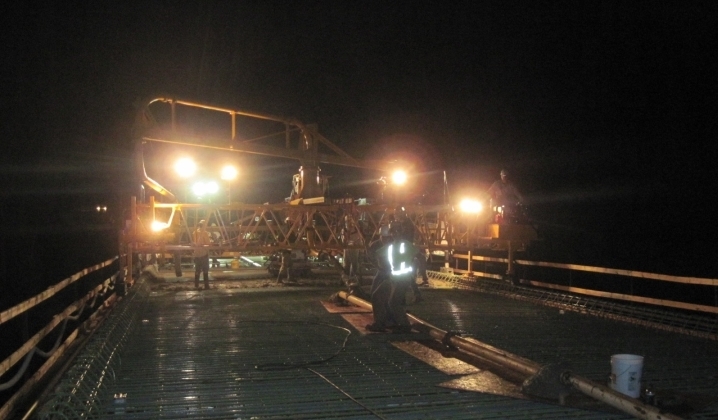 Partial removal of existing substructure was executed using wire saw technology and robotic demolition hammers on the top of the piers to limit the amount of labor devoted to the demolition operation. Mass concrete placement methods were required on the large pier caps. Erection of new steel superstructure with spans of 415′, 474′ and 415′ was accomplished utilizing the OCCI designed and owned modular 1,200 kip capacity column falsework system.